Host Sandi Toksvig has a festive knees-up down the pub with bar-stool regular Alan Davies and guest ales Cariad Lloyd, Noel Fielding and Josh Widdicombe. Comedians Aisling Bea, Lee Mack and Jason Manford join host Sandi Toksvig and regular panellist Alan Davies to look at the topic of peril. Sandi Toksvig enjoys a picnic with Alan Davies, Richard Osman, Rachel Parris and Romesh Ranganathan. Sandi looks at plants with Alan Davies, Sara Pascoe, Stephen K Amos and Jason Manford. Sandi Toksvig and Alan Davies are joined by Lee Mack, Alice Levine and Jimmy Carr to learn about some unusual and sometimes painful punishments. Sandi Toksvig finds the time to indulge in a little procrastination with Alan Davies, comedians Aisling Bea and Holly Walsh and radio and television presenter Nikki Bedi. Sandi Toksvig investigates an array of phenomena with comedians Alan Davies, Cariad Lloyd, Josh Widdicombe and Paul Sinha. Sandi Toksvig studies pathology with regular panellist Alan Davies, comedians Ed Byrne and Rhod Gilbert and actress Sindhu Vee. Sandi Toksvig looks at the pastimes of past times with Alan Davies, Joe Lycett, Phil Wang and Ellie Taylor. Sandi Toksvig opens the post with her guests Alan Davies, Holly Walsh, Matt Lucas and Susan Calman. We see if Susan can fit inside a pillar box. 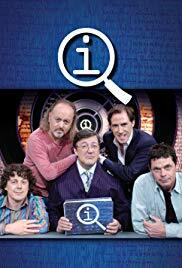 A selection of the best moments from the 'P' series of QI, hosted by Sandi Toksvig with Alan Davies and their guests.